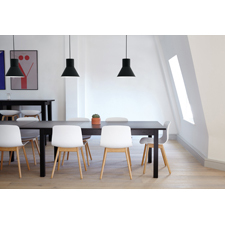 Montreal, November 28, 2018 – Eureka (www.eurekalighting.com), an established leader in decorative lighting solutions, today announced the release of its Verner pendant. The “deco-performance” fixture combines high light output with a geometric aesthetic to enhance interior spaces while providing useable light. With no visible hardware, the pendant is intended for use in high ceiling applications, open areas or spaces where diminished focus on the ceiling is the aim. More information about Verner and other Eureka products is available at the Eureka website.